Muslim migrants throw Christians overboard. 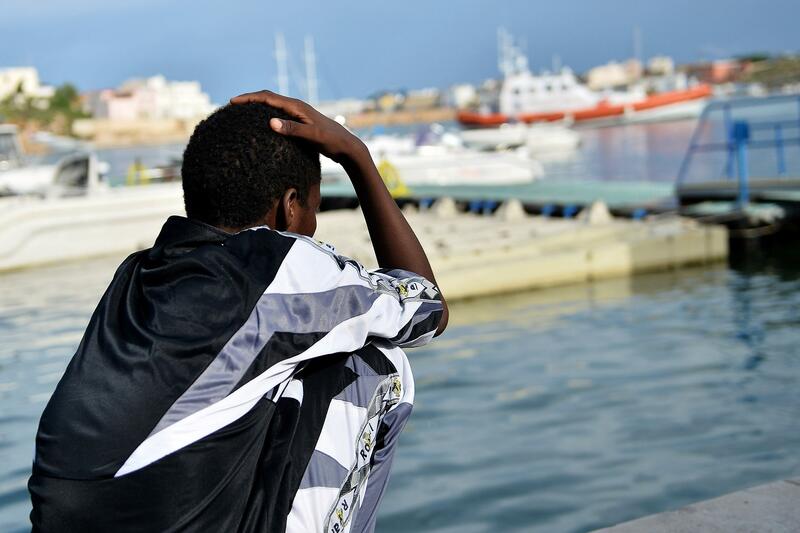 A survivor of the shipwreck of immigrants off the Italian coast looks out over the water of Lampedusa in Oct. 2013. What has already been a particularly lethal week for migrants trying to make their way across the Mediterranean from North Africa to Europe took an even more grisly turn on Thursday, when a religious dispute broke out on a boat traveling from Libya to Italy and ended with a group of Muslim passengers throwing 12 Christian migrants overboard to their deaths.